The Blackstone 2 Burner 28” Gas Griddle with Stainless Steel front plate is perfect for crowds big and small. 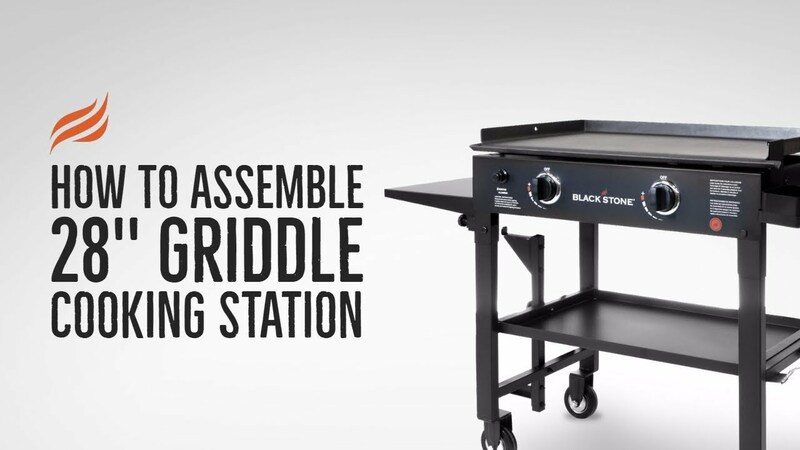 With a surface big enough to fit 44 hot dogs, you’ll be amazed by this 34,000 BTU powerhouse! Built with industrial materials for durability and optimal heat distribution. Now with the rear grease management system for no-mess cooking and easy cleanup. Cook anything, anytime, anywhere! AwsomeFinally broke down and bought the 28 inch griddle. Oh my, where has this thing been all my life. Everything tastes so much better on the griddle. Followed all steps to season the top and it seems to just get better and better. Go to YouTube and look at what the Blackstone chef Todd has cooked it will not disappoint! Just can’t say enough good things about this unit. Just wish you had more recipes for the 28 inch. Most of the recipes I saw where for the 36 inch. Think about it, .......just kidding. It really is an awesome cooking device. 28" GriddleSuper easy to set up. Grilled fresh veggies so far. Love not having the mess in the kitchen. Next up....bacon! Great griddleMy wife bought me this grillle as a gift I have loved it ever sense. Heats evenly I have had no problem with it. Rear grease system it vary nice except when cooking small foods like eggs, ground sausage and stuff like that because it like to fall in with the grease I am making a small screen to fix that but much better design than before no mess what so ever. You will not be disappointed with this griddle. 28” griddleJust received the griddle last week, seasoned it, and cooked what the wife and I considered some of the best stir fry we’ve ever had. The griddle appears to be well built, it is easy to assemble and the shipping was right on time. The only issue with the griddle is that the first section of the left burner does not ignite as it should, but I do not feel this will be a big deal to correct.